Fast, simple, secure. Signal is privacy that fits in your pocket (or on your desk). Signal Android users can privately message, voice, and video call other Signal users anywhere in the world for free over the internet. Confirm that your phone is running Android 4.4 or later. All Signal-to-Signal communication is private and end-to-end encrypted. Signal-to-Signal messages are secure and free to send and receive using any internet connection enabled on your phone, like WiFi or mobile data. 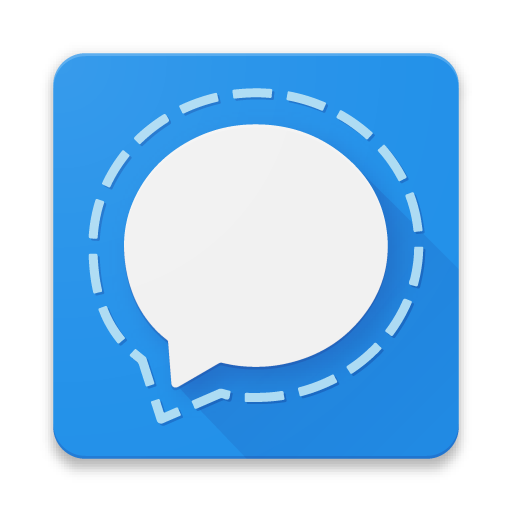 Signal can also serve as your unified messenger for insecure SMS/MMS messages in addition to Signal messages. Insecure SMS/MMS from your mobile SIM card number are sent through your mobile provider. Having issues installing on an Android phone? Follow these troubleshooting steps. Signal iOS users can privately message, voice, and video call other Signal users anywhere in the world for free over the internet. Confirm that your iOS device is running iOS 10.0 or later. All communication on Signal iOS is private and end-to-end encrypted. Signal can use whichever internet connection is enabled on your phone, like WiFi or mobile data. Having issues installing on an iPhone? Follow these troubleshooting steps. Signal Desktop is an app that lets you send or receive Signal messages using your laptop or desktop computer. Confirm Signal is installed and working on your Android phone or iPhone. Linux 64-bit distributions supporting APT, like Ubuntu or Debian. Download and Open Signal Desktop. Windows: Follow prompts from the install link. MacOS: Move Signal to the Applications folder. Non-admin users should search for ~/Applications through the Spotlight Search and move Signal's install file to that directory. Linux: Follow the instructions to configure the Signal repository and install the Signal package. Link Signal Desktop with your phone. All messaging on Signal Desktop is private. Signal messages are synchronized with Signal on your mobile phone. Can I install Signal Desktop without a mobile device? Signal Desktop must link with either Signal Android or Signal iOS to be available for messaging.